Happy New Year Mommies, we’re super excited that this new year has rolled in. Something about the New year always makes everything so hopeful and bright as we make plans to take us throughout and a clean slate is always great. Having finally managed to secure an interview with the indomitable female Singer/DJ, Raine Seville as a part of our celeb mummies series ( see previous interviews with Maia Chung and Kiki) also makes the new year that much sweeter. Loraine was super excited to oblige the Jamaican Mommies team and even more over the top to gush about her munchkin, family life, being a mommy on the go and striking the right balance between life on and off the stage. So for those of you who may not be in the know- Loraine “Raine” Seville burst on the scene back in 2009 as the first lady for the DASECA music camp, which included heavyweights such as Bugle and Serani. 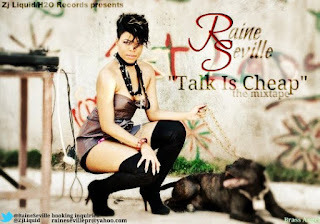 Raine then went on to record continued successes with her chart topping hit “Belly Wine” becoming a favourite at events both locally and abroad. She has also enjoyed frequent rotation on the airwaves and as recently as May 2012 had been nominated as best new artist at the South Florida Reggae Awards. She was also nominated for three other awards at the Music Achievers Awards for Best Dressed Female, Best Music Video, for the single Showdown and walked away with the award for Most Promising Female artiste. But how does she manage it all? Any challenges? How does she spend quality time with a toddler while churning out continued hits for her fans? 1.JMommies: So we’ve pretty much been meeting Raine the artiste, the creative person the entertainer, tell us about Raine the Mommy? How different or similar is ‘mommy Raine’ to the Raine that the public knows? Raine: Once I’m off stage, not doing interviews or in studio, not an ambassador for something…I’m Loraine Seville, the daughter, the mother, sister & regular person overall. My time is mostly spent with my family especially my daughter Layla-Rei. I’m very protective of her, I do everything with/for her, cook, take her to nursery, help her with homework, comb her hair, put her to bed, take her out, watch educational channels/dvd with her etc. Family & motherhood are very important to me so I always try to stay involved. Raine the mom & the artiste are similiar in terms of love I see my fans and co-workers as family so I love and treat them as such however the difference is Raine the mom is more laidback & simple as opposed to Raine the artiste who is more flashy & ready to entertain. 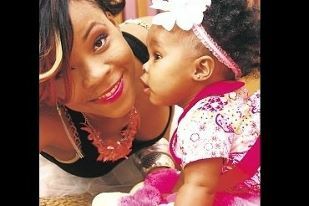 2.JMommies: How do you manage being an artiste-entertainer/celeb mom? Raine: I manage very well, I’ve learnt how to balance and differentiate both, accomplishing this comes through a lot of family support/involvement. 3.JMommies: Are there ever clashes with work and family time? How do you handle this? Raine: Many times lol! The thing with being an entertainer is things come up at any time & we just gotta get up and go. I love my career very much but family is always first,,, if whatever I’m doing with family is of great importance and cannot be put on hold or done by someone else then work will just have to wait. However I got a very supportive and understanding family so we always work together to get the best results. 4.JMommies: What are some of the techniques you use to ensure that you have enough time with the fam? Raine: Always understanding/remembering the importance of balance along with team work from both family & career side. Raine: Home lol! We have our recreational area, family room, entertainment room at home that we utilize a lot. 7. JMommies:Fave thing about being a mom? Raine: Experiencing such great & unconditional love & peace of mind. Seeing how smart & free spirited she is. 8.JMommies: What are your major challenges as a mom? Raine: Hmmm I don’t see it as challenge, just responsibility(ies) that I pray on a daily that I’ll always fulfill, being a flawed human being as everyone else & that’s always being a responsible mother in every way & every situation, being a role model & a better person overall, someone my child will grow to love respect & look up to. 9. JMommies: Most rewarding experience as a parent to date? Raine: When she 1st said “mama” and “I love you mommy” there is nothing more rewarding than that. 10.JMommies:What advice do you have for other moms? Raine: Understand/accept that God has given you the ultimate blessing of motherhood. Respect it & ask for God’s continued guidance on a beautifully chaotic journey. Love your child unconditionally, pay attention, be involved, communicate, our kids can also be one of our greatest teacher. 11. JMommies:What’s one of the cutest or naughtiest thing that you’ve witnessed since being a mother? 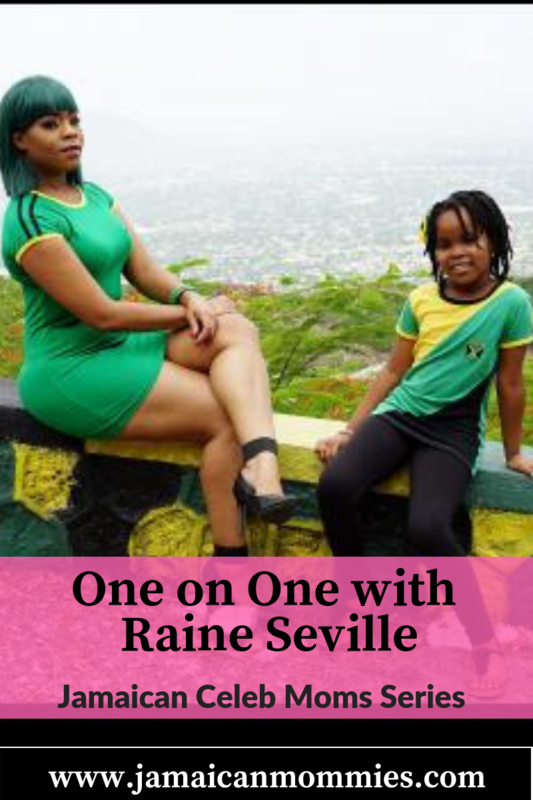 So there you have it, our one-on-one with Jamaican celeb mom-Raine Seville. Please be sure to leave your comments below. Great article – love it loads. And Raine's daughter name is too cute indeed. Such a love button. This is awesome!!! Great insight and encouraging for even the soon-to-be moms!! Keep up the good work! Loved this post. Great going mommy Raine-nice to see you managing both worlds. I love this interview series, Jamaican Mommies. The diverse mommy selection is lovely. Really loved this feature.. Glad to see the other side of some of our favourite personalities that we dont normally see.